Photo Courtesy of Loyola University Chicago Loyola President Jo Ann Rooney announced a 3.3 percent tuition increase and a 2.5 percent increase to meal plans, with potential increases to housing costs. Loyola’s undergraduate tuition will increase by the highest amount in three years for the 2019-20 academic year, school President Jo Ann Rooney recently announced. In the past, Rooney has been vocal about mitigating tuition increases, but she recently announced the highest in her tenure. Rooney announced a 3.3 percent tuition increase — around $1,400 per academic year — and a 2.5 percent increase to meal plans, in an email to the Loyola community on Jan. 24. 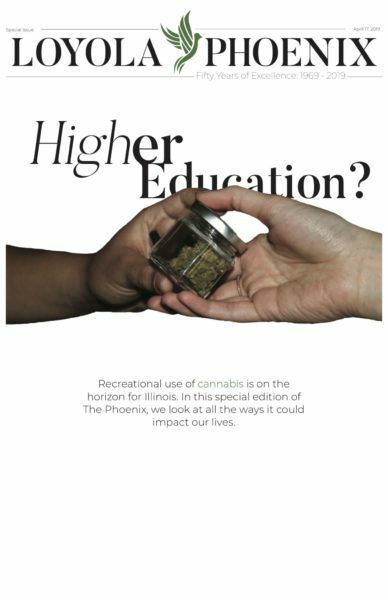 Last year, the tuition increase was 2.4 percent, and the year before it was 2.5 percent, The Phoenix reported. Loyola’s tuition has increased every year since 1989, according to The Phoenix. Maya Amin, a first-year studying nursing, said she was surprised to see tuition get even more expensive. “I was shocked to say the least, we pay so much already seeing it go up even more startled me,” Amin, 18, said. 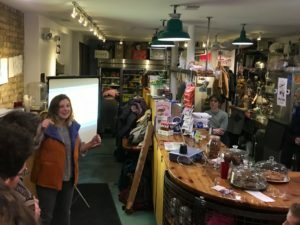 Bella Holtz, a sophomore studying psychology and neuroscience, said she got upset after she used the percentage to calculate how much money she’d have to pay. “I calculated it out on my phone to figure out how much more the tuition is, and then I thought about how much that is after 10 years of interest from loans,” Holtz, 19, said. Although this is the most tuition has risen in the past few years, in 2016 students saw a 4 percent increase for the following academic year, The Phoenix reported. Students currently pay $42,720 for a year’s tuition at Loyola. Next year, students will pay $44,130, according to Loyola’s website. The average price for a year’s tuition at a private, four-year school is $35,830 for the 2018-19 academic year, according to CollegeBoard, the non-profit organization that runs the SAT and AP programs. The increase in tuition was partly due to new investments in Campus Safety. It’s unclear what investments are being made because Evangeline Politis, the university’s spokesperson, denied requests for an interview with Rooney and with Wayne Magdziarz, Loyola’s chief financial and business officer. Madison Flood, a junior studying neuroscience, said she was annoyed about the increase in tuition because the university isn’t transparent about where the money goes. The email also referenced the planned construction of a new residence hall on Winthrop Avenue, according to the email. The $47 million new residence hall is intended to help with Loyola’s lack of housing and would require the demolition of two Loyola-owned buildings. The Edgewater Historical Society has publicly opposed the demolition of the buildings, citing environmental concerns. Students could also see residence hall fees increase by up to 2 percent, depending on which residence hall they live in. There will be no increase in student activity or technology fees, which are used to fund shuttle buses, 8-RIDE and the Wellness Center. Despite the increase in tuition, Rooney said in the email an education at Loyola is still worth the price. 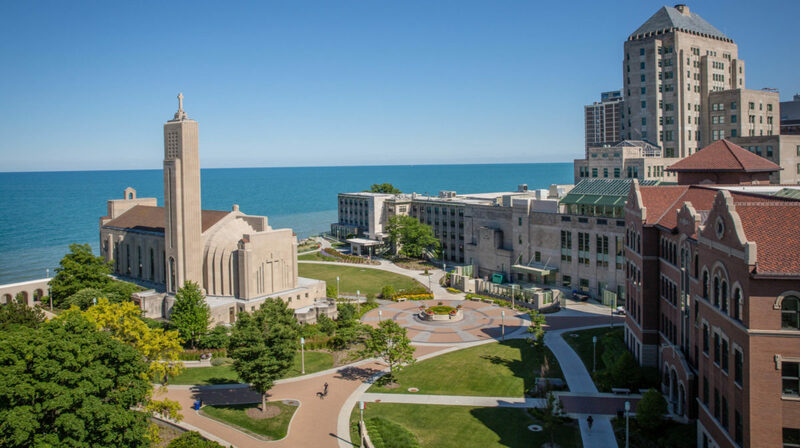 “A Loyola education remains a good investment in a fast-changing economy in which nine out of 10 new jobs created require a college or professional degree,” Rooney said in the email. The email also referenced other projects on campus, including the refurbishing of Sean Earl Field and the construction of the Alfie Norville Athletic Practice Facility.